I have moderate background in time series forecasting. I have looked at several forecasting books, and I don't see the following questions addressed in any of them. What would happen if i model my time series as a deterministic trend/seasonality when the series has a clearly stochastic component? Any help addressing these questions would be greatly appreciated. Dickey, D. y Fuller, W. (1979a), Distribution of the estimators for autoregressive time series with a unit root, Journal of the American Statistical Association 74, 427-31. Dickey, D. y Fuller, W. (1981), Likelihood ratio statistics for autoregressive time series with a unit root, Econometrica 49, 1057-1071. Kwiatkowski, D., Phillips, P., Schmidt, P. y Shin, Y. (1992), Testing the null hypothesis of stationarity against the alternative of a unit root: How sure are we that economic time series have a unit root?, Journal of Econometrics 54, 159-178. Phillips, P. y Perron, P. (1988), Testing for a unit root in time series regression, Biometrika 75, 335-46. Durlauf, S. y Phillips, P. (1988), Trends versus random walks in time series analysis, Econometrica 56, 1333-54. Hylleberg, S., Engle, R., Granger, C. y Yoo, B. (1990), Seasonal integration and cointegration, Journal of Econometrics 44, 215-38. Canova, F. y Hansen, B. E. (1995), Are seasonal patterns constant over time? a test for seasonal stability, Journal of Business and Economic Statistics 13, 237-252. 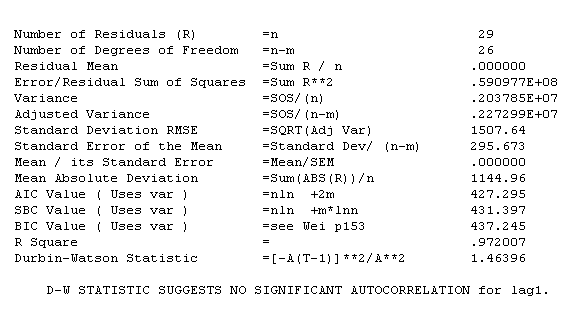 Franses, P. (1990), Testing for seasonal unit roots in monthly data, Technical Report 9032, Econometric Institute. Ghysels, E., Lee, H. y Noh, J. (1994), Testing for unit roots in seasonal time series. some theoretical extensions and a monte carlo investigation, Journal of Econometrics 62, 415-442. The textbook Banerjee, A., Dolado, J., Galbraith, J. y Hendry, D. (1993), Co-Integration,Error Correction, and the econometric analysis of non-stationary data, Advanced Texts in Econometrics. Oxford University Press is also a good reference. 2) Your second concern is justified by the literature. If there is a unit root test then the traditional t-statistic that you would apply on a linear trend does not follow the standard distribution. See for example, Phillips, P. (1987), Time series regression with unit root, Econometrica 55(2), 277-301. If a unit root exists and is ignored, then the probability of rejecting the null that the coefficient of a linear trend is zero is reduced. That is, we would end up modelling a deterministic linear trend too often for a given significance level. In the presence of a unit root we should instead transform the data by taking regular differences to the data. 3) For illustration, if you use R you can do the following analysis with your data. Results: ADF test, at the 5% significance level a unit root is not rejected; KPSS test, the null of stationarity is rejected in favour of a model with a linear trend. Aside note: using lshort=FALSE the null of the KPSS test is not rejected at the 5% level, however, it selects 5 lags; a further inspection not shown here suggested that choosing 1-3 lags is appropriate for the data and leads to reject the null hypothesis. In principle, we should guide ourselves by the test for which we were able to the reject the null hypothesis (rather than by the test for which we did not reject (we accepted) the null). However, a regression of the original series on a linear trend turns out to be not reliable. On the one hand, the R-square is high (over 90%) which is pointed in the literature as an indicator of spurious regression. Moreover, the null of a unit root in the residuals cannot be rejected. At this point, you can choose a model to be used to obtain forecasts. 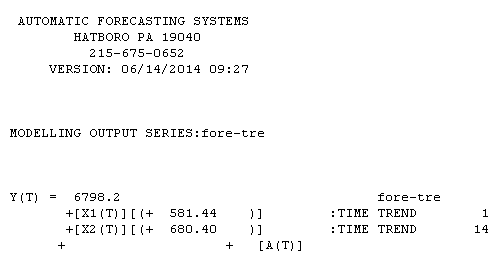 For example, forecasts based on a structural time series model and on an ARIMA model can be obtained as follows. The forecasts are similar in both cases and look reasonable. Notice that the forecasts follow a relatively deterministic pattern similar to a linear trend, but we did not modelled explicitly a linear trend. 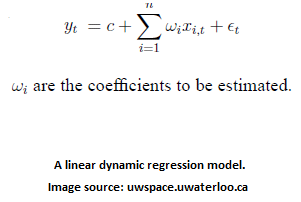 The reason is the following: i) in the local trend model, the variance of the slope component is estimated as zero. This turns the trend component into a drift that has the effect of a linear trend. 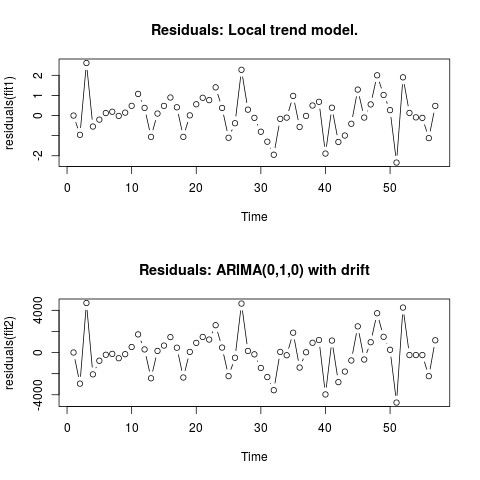 ii) ARIMA(0,1,1), a model with a drift is selected in a model for the differenced series.The effect of the constant term on a differenced series is a linear trend. This is discussed in this post. 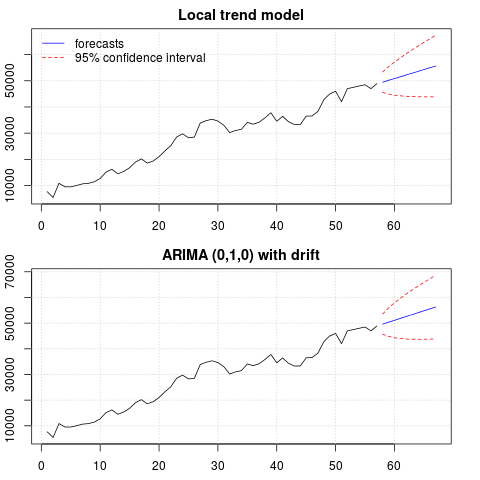 You may check that if a local model or an ARIMA(0,1,0) without drift are chosen, then the forecasts are a straight horizontal line and, hence, would have no resemblance with the observed dynamic of the data. Well, this is part of the puzzle of unit root tests and deterministic components. 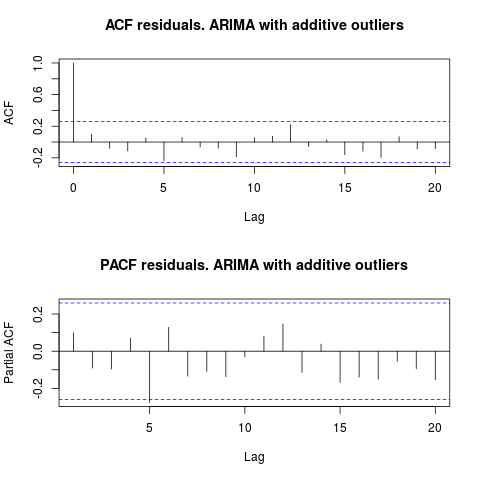 Edit 1 (inspection of residuals): The autocorrelation and partial ACF do not suggest a structure in the residuals. 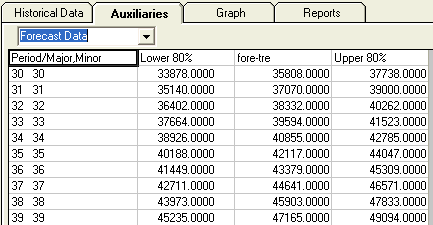 As IrishStat suggested, checking for the presence of outliers is also advisable. Two additive outliers are detected using the package tsoutliers. 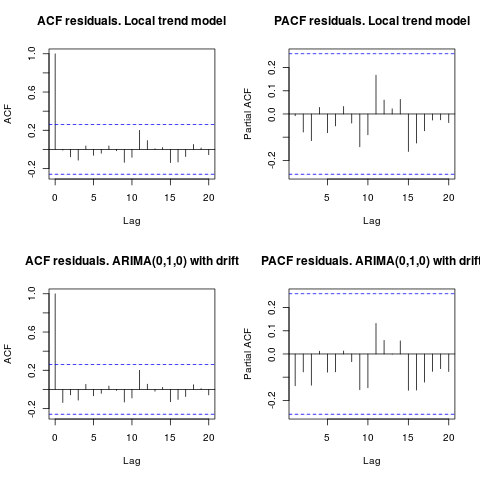 Looking at the ACF, we can say that, at the 5% significance level, the residuals are random in this model as well. In this case, the presence of potential outliers does not appear to distort the performance of the models. This is supported by the Jarque-Bera test for normality; the null of normality in the residuals from the initial models (fit1, fit2) is not rejected at the 5% significance level. With respect to your non-seasonal data ...Trends can be of two forms y(t)=y(t−1)+θ0 (A) Stochastic Trend or Y(t)=a+bx1+cx2 (B) Deterministic Trend etc where x1=1,2,3,4....t and x2=0,0,0,0,0,1,2,3,4 thus one trend applies to observations 1−t and a second trend applies to observations 6 to t.
Your non-seasonal series contained 29 values. I used AUTOBOX a piece of software that I had helped develop in a totally automatic fashion. AUTOBOX is a transparent procedure as it details each step in the modeling process. A graph of the series/fitted values/forecasts are presented here . Using AUTOBOX to form a type A model led to the following . The equation is presented again here , The statistics of the model are . 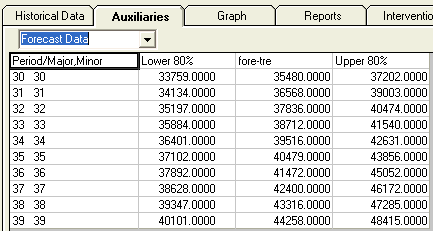 A plot of the residuals is here while the table of forecasted values are here . Restricting AUTOBOX to a type B model led to AUTOBOX detecting an increased trend at period 14:. ! In terms of comparing models: Since the number of fitted observations differ (26 and 29 respectively) it is not possible to use standard metrics (i.e. 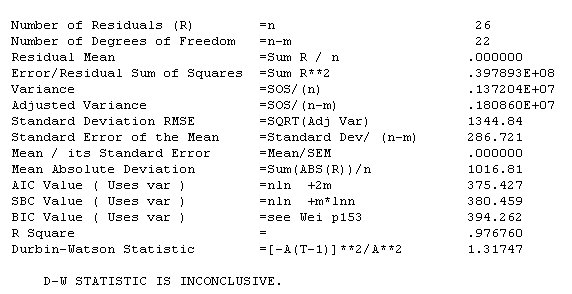 r-square,error standard dev, AIC etc) to determine dominance although in this case the nod would go to A. The residuals from A are better due to the AR(2) structure. The forecasts from B are a tad aggressive while the pattern of the A forecasts are more intuitive. One could hold back say 4 observations and evaluate forecast accuracy for a 1 period out forecast from 4 distinct origins( 25,26,27 and 28). There are 4 possible states of nature. There is no analytical solition to this question since the model sample space is relatively unlimited. To empirically answer this vexing question I have helped develop AUTOBOX http://www.autobox.com/cms/ . AUTOBOX runs a tournament to examine all 4 of these cases and assesses the quality of the 4 resultant models in terms of necessity and sufficiency. Why don't you post an example time series of your choice and I will post the 4 results showing how this problem has been solved . Not the answer you're looking for? Browse other questions tagged time-series forecasting arima stochastic-processes or ask your own question. Is there a way to allow seasonality in regression coefficients? Does stationarity under ADF test imply mean, variance and covariance stationary? Why is removing instationarities a good thing when trying to forecast a time series?